The flashing lights in the rear window of your car are only the beginning of a long process. For many drivers pulled over for suspicion of drunk driving, fear sets in immediately. You may feel that you have no other choice but to cooperate fully with all chemical and sobriety testing. You assume that a quick admission of guilt will make the problem disappear. Far too much is at stake to handle a complex legal matter on your own. With a criminal record, you may continue to face challenges. I opened my law office to help visitors and residents of DeFuniak Springs, Florida, protect their rights when facing serious DUI charges. Take immediate action and level the playing field with the help of a seasoned criminal defense lawyer. Contact my Destin law office at (850) 460-2989. Jail time is not mandated for a first DUI offense, unless an accident occurred or children were in the car. The penalties are still severe and life changing. Probation, community service and a victim impact panel are only the beginning. Within 10 days of an arrest, an administrative hearing must be requested to preserve your right to drive. 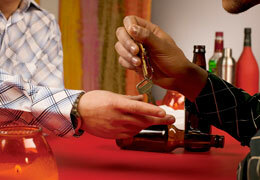 Adhering to the 10-day rule following a Breathalyzer refusal is paramount to avoiding a suspended license. Refusing the field sobriety test does not require a hearing request. I, Jeremy Keich, am an attorney who provides Walton County residents with aggressive defense against drunk driving charges. In establishing your DUI defense, I review the police procedures prior to and during the arrest. The initial stop is a key point of contention. I will determine if police had a valid reason for pulling your car over. Breathalyzers must be compliant in maintenance and calibration. Field sobriety tests must be conducted within strict guidelines. By attending to all the details of your DUI charge, I can provide you the options that you never knew you had. I will focus on minimizing the penalties you face and fighting for the best outcome. For more information or to schedule an appointment with an experienced Destin DUI/DWI attorney, please contact my law office.